Can Chickenpox be Dangerous for an Elderly Adult? ← Does Your Elder Have a Higher Risk of Experiencing a Hip Fracture? Homecare Atoka TN – Can Chickenpox be Dangerous for an Elderly Adult? Chickenpox is often thought of as a fairly mild childhood disease. There was a time when virtually everyone contracted this disease by the time that they were an adult, and if they were fairly healthy when they experienced it, they got over it with few if any lingering effects. Though vaccination and better understanding of the infection has dramatically reduced the number of cases and severe complications that result from chickenpox, it still exists, and not just among children. 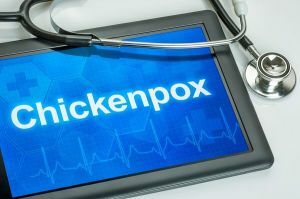 Adults are also vulnerable to chickenpox and particularly for elderly adults who may have a compromised immune system, this can be a dangerous infection. Caused by the varicella-zoster virus, chickenpox can lead to potentially serious complications that can negatively impact your parents health as they fight this infection and well after. As a family caregiver, it is important that you understand the potential risk so that you can ensure your parent is protected and receives proper care should they develop chickenpox. It is important to note, particularly for elderly adults, that the varicella-zoster virus is also responsible for shingles. Once your parents has experienced chickenpox, the virus exists in their body and can surface as shingles at any time. Shingles can lead to a very painful rash that can also cause serious complications such as vision loss and postherpetic neuralgia, a syndrome that results in pain that can linger for years after the infection. Starting homecare for your aging parents can be a fantastic way to enhance their quality of life and support their ongoing health and well-being as they age in place. Through the highly personalized services of a homecare services provider, your parent can manage their individual challenges and limitations while also pursuing the highest level of independence, activity, and engagement as possible. Services such as transportation, meal preparation, assistance with running errands, help with personal care needs, mobility support, and companionship can help your parents to enjoy greater safety, comfort, and physical and mental health and well-being throughout their later years. As their family caregiver, this can ease your stress and give you peace of mind so you are able to focus your energy and attention on both your parents and the other obligations in your life as efficiently as possible. For Homecare Services in Atoka TN, please contact the caring staff at Personal Care Services MidSouth today! This entry was posted in Challenging Diseases/illnesses/Conditions, Homecare Atoka TN and tagged Homecare Atoka TN. Bookmark the permalink.